Tom Hardy’s Venom early reactions are here and now I have a mixed feeling about it. The film premiered Monday night at the Regency Village Theater in Westwood, California and now we have the early reactions of the film which is totally buzzing on the social media. As there are no critic reviews yet but some of the audience have seen it and their reviews are totally mixed. Venom character made his cinematic debut in Sam Rami’s Spider-Man 3 and Sony planned to develop a standalone Venom movie and after almost 11 years, the movie is finally going to release this Friday. Sony had others plan for the character as in future this film intended to share the world of Marvel Universe and could share the screen with Tom Holland's Spider-Man. Well, for sure it’s fascinating and fans also hyped to see Venom in Marvel Universe. The film is directed by Ruben Fleischer is best known for Zombieland (2009) and stars Tom Hardy in the lead role alongside Riz Ahmed, Michelle Williams, and Scott Haze. Well, according to the twitter reactions the movie is just fine and don’t offer that much to the story. 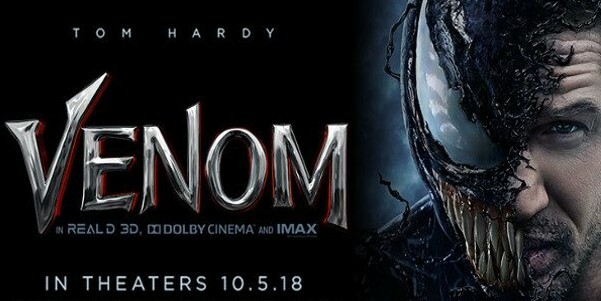 The only thing praised is Tom Hardy performance as Eddie/Venom, the chemistry between Eddie and Venom is fun.